FREE PARKING in Perth this December could still be on the cards after a rebellion at the City’s finance committee meeting this evening, at which the Deputy Lord Mayor also unveiled a plan to use Langley Park for free parking. Councillors Jemma Green and Reece Harley amended a motion prepared by City staff to trial free parking in the first two weekends of January so it now also includes the last two weekends of December. 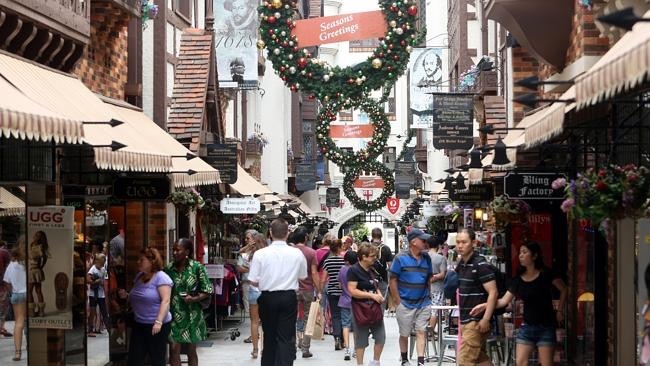 Efforts by Deputy Lord Mayor James Limnios at the most recent Perth Council meeting to trial free weekend parking to lure shoppers to the city this Christmas rush sparked fierce debate. Ultimately Lord Mayor Lisa Scaffidi moved a procedural motion to send the motion from Cr Limnios to the finance committee for analysis, flagging January as a time in which retailers need more help. City staff prepared three options for consideration by the committee, much to the chagrin of Cr Harley – who said the procedural motion had sent Cr Limnios’s proposal for free December weekend parking to the committee, and did not ask the City staff to prepare alternatives. Councillors Green and Harley amended one of the options in order to trial free City parking in the second half of December as well as the first half of January – and the proposal will be voted on at the next Council meeting on Tuesday, December 13. If successful, the City will offer free parking in some parts of the City as early as Saturday December 17. The recommendation was adopted 2 votes to 1, with Cr Janet Davidson voting against. Deputy Lord Mayor James Limnios, who spoke from the gallery, said the procedural motion at the recent Council meeting had been designed to kill off his proposal without the political embarrassment of expressly voting against free City parking this Christmas. Cr Limnios also flagged his intention to move at Council next Tuesday that the City use portions of Langley Park as free shopper parking from 10am until 9.30pm from December 14 to December 31st. The Guardian Express understands the Deputy Lord Mayor will also urge the next meeting of Perth Council to investigate the possibility of half of the Loading Bays in prime retail and entertainment precincts being used as 1 hour free parking on Sundays, as of next year, and that the City investigates boosting the supply of 15 minute free parking.